to enable us to fulfil our contractual obligations to third parties, for example to pay a partner if you have made a purchase on this website by following a link from their website. Welcome to BZ Paintball Supplies UK - The UK's Leading Paintball Shop For Paintball Guns & Paintball Equipment. BZ Paintball is the leading paintball store/ paintball shop for all your paintball equipment and needs. We have the largest walk-in paintball shop in the UK where you can browse all the latest paintball equipment, we can take orders online and over the phone, making it easy for you to get hold of whatever paintball equipment you need. If you’re new to paintball or an avid player we have all the paintball supplies you could ever want and need. We stock all the latest paintball guns, paintball masks, paintballs, paintball hoppers and paintball gear/accessories, from all the top brands including Dye, Eclipse, HK Army, Virtue, Shocker Paintball, DLX, Empire, Vforce, Tippmann, Ninja, GOG, JT and many more at competitive prices. We carry a huge amount of stock in our paintball shop and dedicated warehouse so 99.9% of our orders can ship for delivery next working day. We are the only paintball store that displays whether an item is in or out of stock, other online stores might tell you they carry lots of stock, but it will generally only be of the most popular paintball items. What's more, we have dedicated certified technicians for Tippmann, Dye, Proto, Planet Eclipse, Empire, BT, MacDev, Luxe and Shocker so we always have expert paintball knowledge on hand to help you with any problems. We have new stock arriving daily, so if there's anything you can't see on the website, please give us a call or drop us an email to see if we can help. All of our paintball supplies are of the highest standard and with our after sales help and technicians you can be confident buying from BZ Paintball! If you're just starting out in paintball check out our Advice for Paintball Beginners guide, providing you with vital insight to what to look for with regards to paintball guns and paintball masks. We also have some great blog posts addressing some beginner questions such as '"What's the best paintball gun for a beginner? ", or "What's the difference between air and co2?". We cover many more topics asked by beginners in our blog here. Since paintball became a popular recreational activity there has been an increase in avid paintball players buying their own equipment. The main part of any kit bag is the paintball gun, which may also be referred to as a paintball marker (some people don't like to refer to paintball markers as guns at all), this is the most basic element of any game of paintball. We have hundreds of paintball guns for sale to suit all budgets and needs. Paint ball guns use one of two propellant's (either co2 or High Pressure Air (HPA) to power a firing mechanism which pushes a ball out of the front of the paintball marker via a barrel. There are many brands and styles of paintball gun available. When buying your first paintball marker you should stick to a recognised brand so you know you’re buying a quality piece of kit which is going to be covered by Warranty. For more information you should check out our blog on 'What's the best paintball gun for a beginner?' You can get an entry level blowback paintball gun at an affordable price and then most guns can be enhanced by adding paintball gun upgrades. If you're after some serious firepower, contact us either on 01642 605000, by email on info@bzpaintball.co.uk or on the Live Chat to explore the best available options to suit your needs. Paintball masks may also be referred to as paintball goggles, for obvious safety reasons you cannot play paintball without one. If you're just starting out taking paintball up as a hobby, we would recommended a paintball mask as the first bit of kit you should buy, check out “The First Piece Of Paintball Kit You Should Buy”. All paintball masks come in one universal size with straps to adjust the fit, though some do provide more coverage, vision and protection than others. Different brands and models of paintball mask have a different fit, so it really is a good idea to try some on before you buy. What fit's one person well might not fit the next person and a poorly fitted goggle can cause even the most expensive models to steam up - look out for models with thermal lenses, these are dual paned and are the ones less likely to steam up. If you’re having issues with your paintball mask steaming up check out our “How to Prevent Your Paintball Mask from Fogging” blog post. 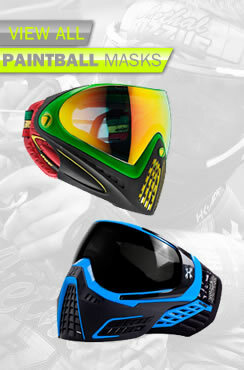 For more help check out our "Paintball Mask Buying Guide". You can be confident buying a mask from BZ Paintball because we only stock models that are CE approved to ensure your safety. The paintball hopper is the 'tube' that sits on the top/side of your gun and stores the paintballs and feeds them into the marker, this may also be referred to as a 'paintball loader'. The standard capacity for a paintball hopper is around 200. At first you may get away with a cheap gravity fed hopper, but if you tend to fire fast or buy an electronic marker (which fires fast) then you will need an electronic loader to be able to feed as fast as you can fire. For more help check out our 'Paintball hoppers - what you need to know' blog post. Upgrade your paintball gun with our vast range of paintball barrels – perfect to improve your gun range and precision. For further insight check out our "What you need to know about paintball barrels" blog post. Paintball gas tanks/bottles hold the propellant that powers the firing mechanism on the paintball marker. This can be one of two sources - Co2 or High Pressure Air (HPA). Co2 was once the standard, but air is fast becoming the most common due to its consistency in comparison to co2. The choice of tank you go for will mostly depend on which gas your local field can refill (no point buying a HPA tank if the place you go to play can only fill Co2 for example). Also, your choice of gun can be impacted on what gas is available to you as a lot of the electronic markers are not compatible with Co2. If in doubt, check out our blog 'Which paintball guns can use air and co2?". You should be aware the most of the tanks are supplied empty when bought as couriers will not transport pressurised tanks. At BZ Paintball we have a vast selection of paintballs available for purchase, stocking Paintballs from brands such as HK Army, GI Sportz, DXS and Proto. Interestingly despite being called 'Paintballs', they are not actually filled with any paint! They contain a mixture of ingredients that are easy to clean off once a player is hit. Paint balls vary in quality and the quality is determined by your main purpose. As a general guide the more expensive the paint is the more brittle it will be, breaking easier. However to use high grade paint you will need a high end paintball gun. We do suggest trying out a variety of paintball brands and grades until you find the perfect paint for your style of play. 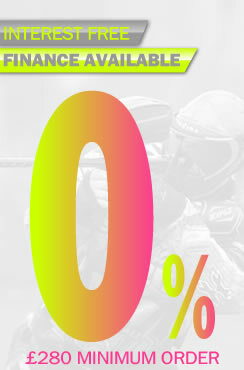 For more information on paintball grades check out our 'Different grades of paintballs' blog post. Paintballs must be stored correctly until your next game, to perform properly. By properly maintaining your paintballs this will ensure they're ready to go whenever you want to play – to ensure you store your paintballs correctly check out our “How To Store Your Paintballs” blog post. 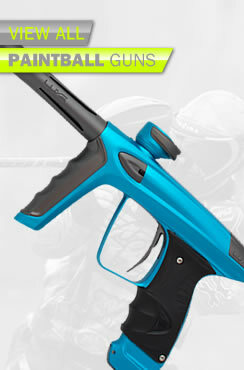 We have a vast selection of paintball gear from all major paintball brands. Whether your after Pants, Jerseys to Tac Vests and Kit Bags, we have it all. Check our paintballing equipment for yourself at our walk in paintball store – the largest in the UK. All of our products from paintball guns to soft goods are available for next day delivery so there's no delay!